There are a lot of tutorials for superhero capes out there, and most of them seem basic enough for my sewing skills, but what if you don't own a sewing machine? Jenny has come to the rescue. She has a great tutorial to turn a t-shirt into a superhero cape, no sewing required. 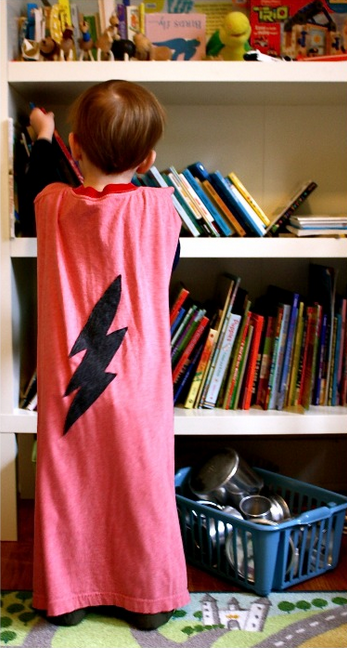 You can check out how to make this no sew super hero cape over at The Southern Institute.